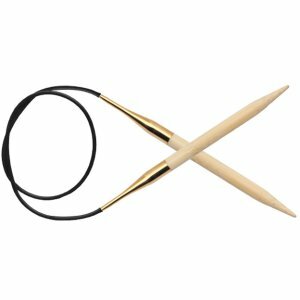 You can also view all Knitter's Pride Bamboo Fixed Circular Needles. I enjoyed knitting with these needles. The points were neither, too pointy,or too dull. They were comfortable in my hands. By Kippy on Feb 09, 2018 (read Kippy's 4 other reviews) No comments on this review yet. Love the nice points on this needle but not so smooth joins. I used it with a cotton yarn on a lace cowl and the yarn just did not want to slide over the joins, I had to push it along to get it up on the needle. Very nice to knit with. Will order this brand again.